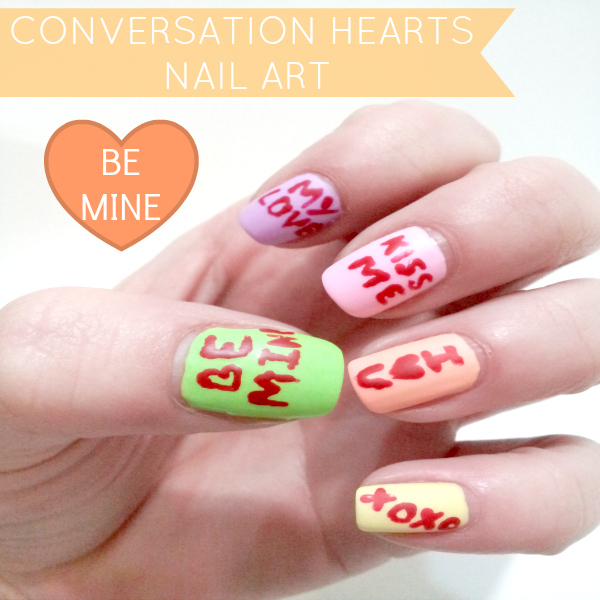 Conversation Heart nails have taken Pinterest by storm lately so I decided to try my luck at one for Mani Monday! I love how it came out, except for the thumb, that looks kind of creepy but all in all I enjoyed doing this manicure and adding all the little conversation hearts sayings. Conversation Hearts are one of my favorite things about Valentine’s Day so this manicure was perfect for me! I used all Lime Crime colors and applied a matte top coat to get that chalk look that the conversation heart candies have. 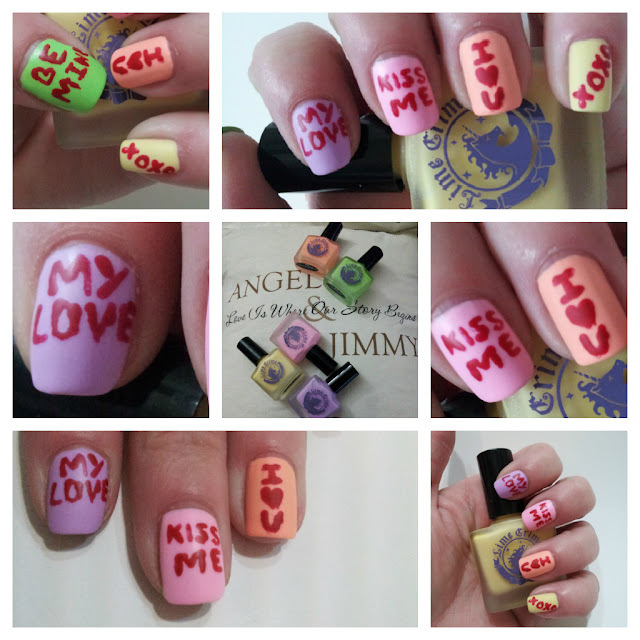 Will you be trying out Conversation Heart Nails? You’re tempting me to pull out my valentine reds and pinks and play with then. I totally want to do this! This is cute! I have a giveaway on my blog and thought I would let you know. It’s a coach perfume giveaway. New to your blog and I like it!